It's Blogmas day 4 and today we're talking all about my style staples. 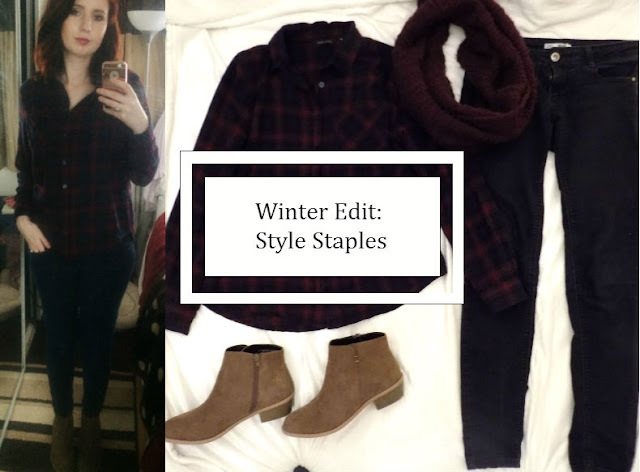 I have a few outfits that I keep going back to and I've recently bought some new boots and I wanted to share a few of essentials when it comes to a casual weekend or day off when winter has pretty much arrived. Who's got their fingers crossed for snow soon? This is my current favourite outfit. I love this shirt, you can't see it that well in the photo but it's red and a dark navy blue and worn with these dark blue wash (well they were at one point) go great with it and the brown boots give it that casual weekend look. This is a good outfit to dress up or down. You can stick to the brown boots and big scarf, and throw over a jacket or thicker coat. 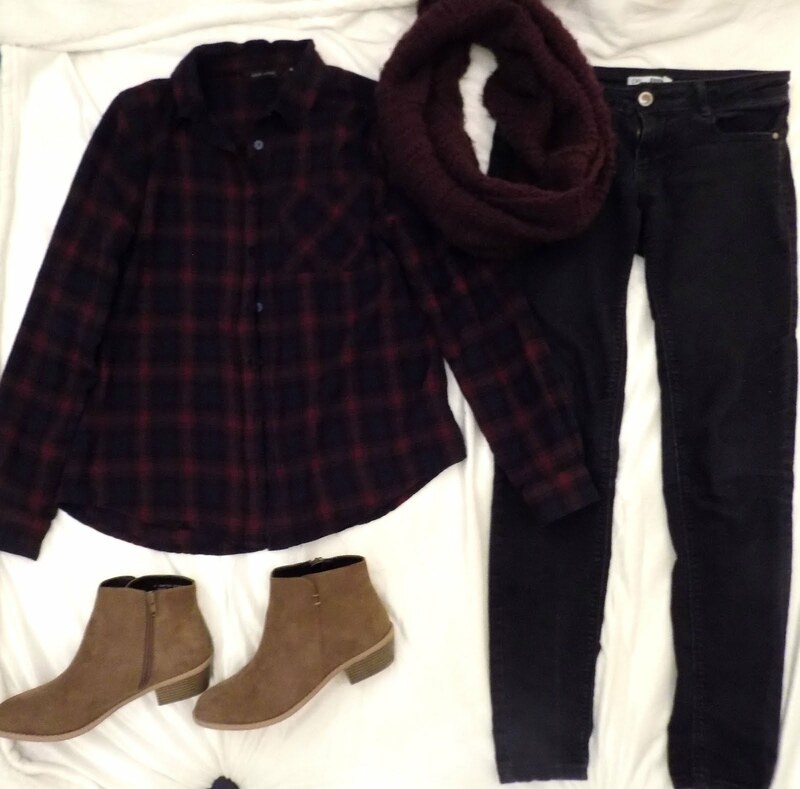 But you can also switch the boots for a great pair of heels, add a leather jacket for a bit of edge and you're good for a drink with the girls after work or even a night out if you feel like being sensible and covering up rather than dying of exposure when it's ridiculously windy or cold like it is in the UK right now. Anywho I love how this top goes with anything and looks great. A good striped top is a must have for me. I love big thick jumpers in the winter, like many others, and this one is a great staple as it goes with any pair of jeans no matter what colour and it is super warm and cosy. 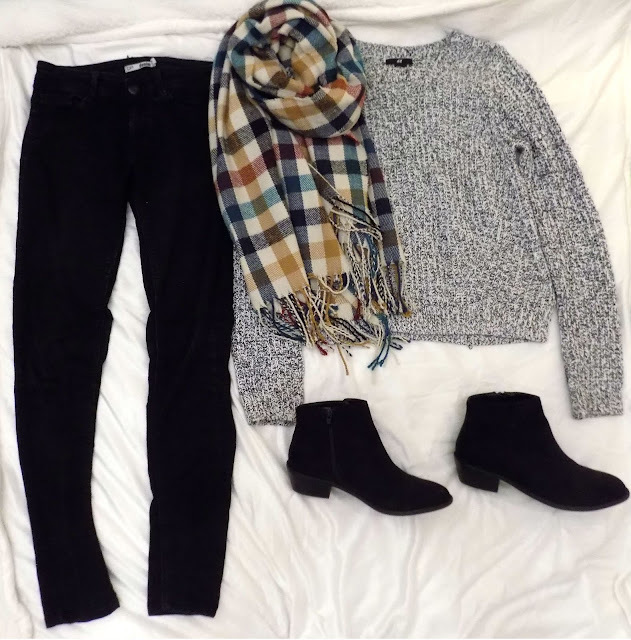 I love how the boots tie in with the jumper and with standard black skinnies it all just goes together well. 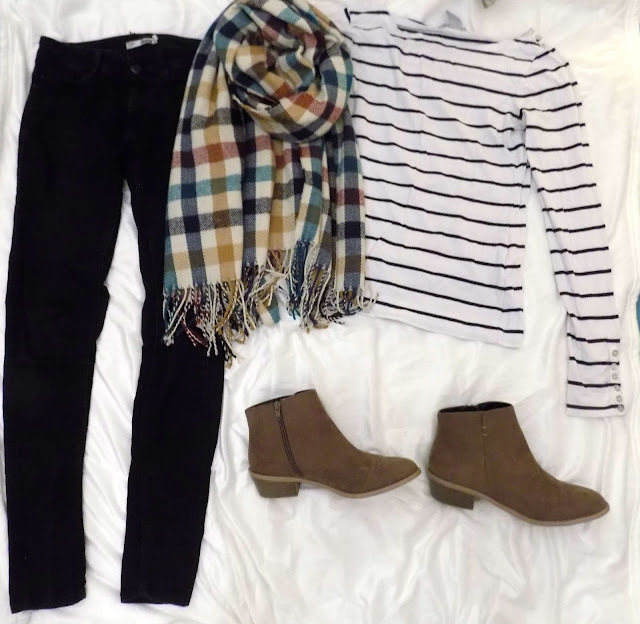 I love the simplicity of this outfit yet it's still a great casual everyday kind of get up and you can layer a t-shirt under this for some extra warmth or a winter coat if it's super cold. These boots along with the black ones are definitely staples for me this season. I love everything about them (other than I wish suede wasn't such a pain to stay or get clean). 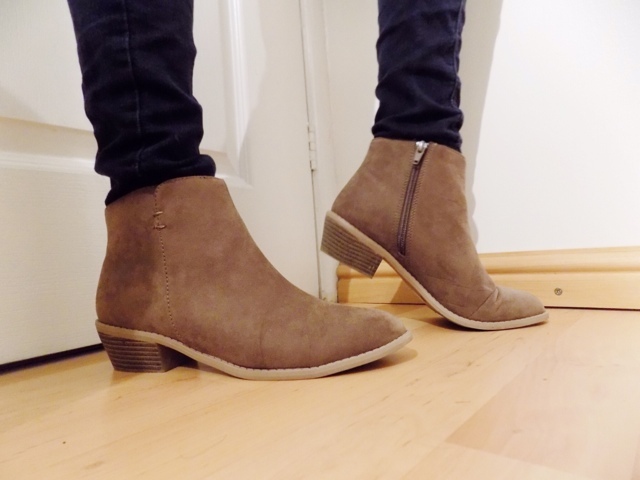 I am just obsessed with these and wear them every single day to work and at the weekend, with skirts, dresses or jeans so they're so versatile and I am very fussy when it comes to boots and the heel, the design, the simplicity, I just love everything about them. A good pair of boots is essential in the Winter. Alright, that's it for today's post. I hope you have enjoyed this winter edit and have got some ideas as to what works well in the winter time. Tomorrow is my weekly favourites so expect to see these boots in their as well. What's your favourite outfit/footwear/accessory this winter? *Disclaimer - This is not a sponsored post, I am not being paid to upload this, there are no affiliate links.